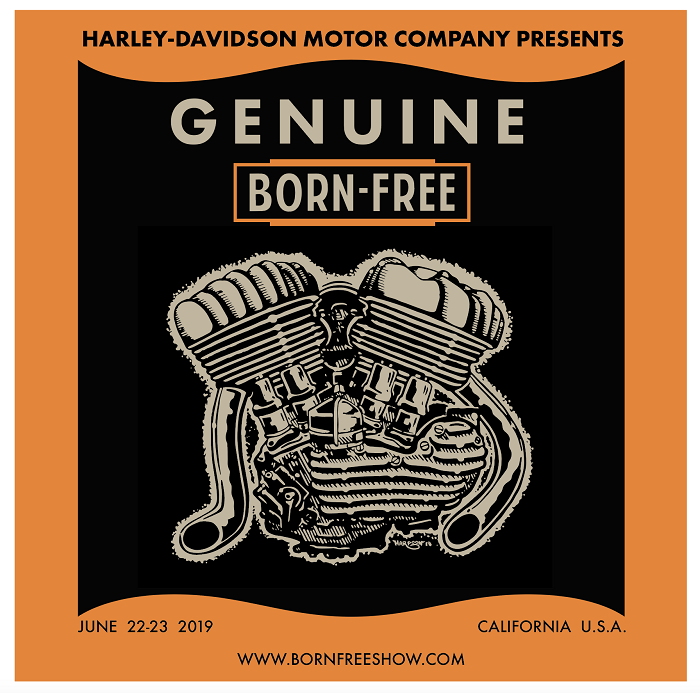 Born-Free Motorcycle Show: Born-Free 5 Posters and Tickets ONLINE NOW!!!! 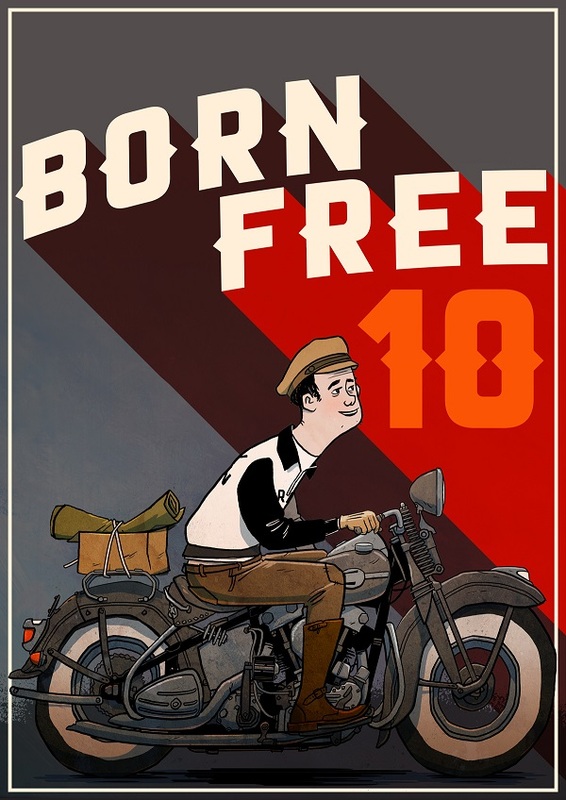 Born-Free 5 Posters and Tickets ONLINE NOW!!!! 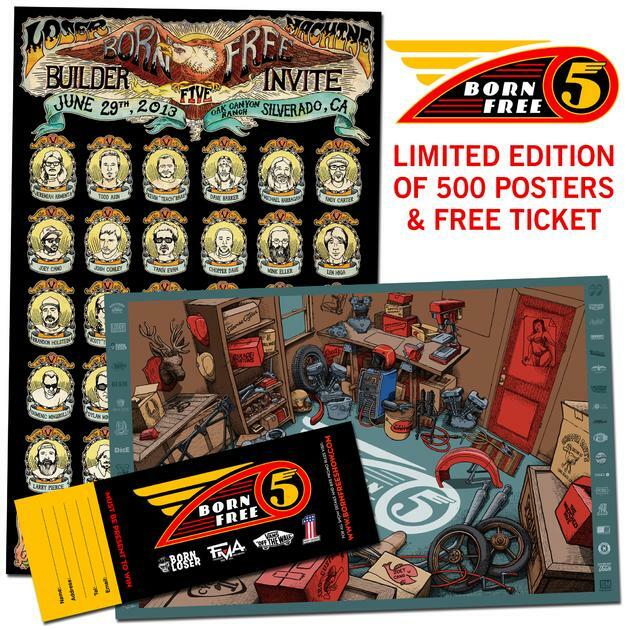 Hot off the press and available ONLINE through Lowbrow Customs are the posters and ticket packages for Born-Free 5 where you can win one of 18 of our invited builders custom built motorcycles! 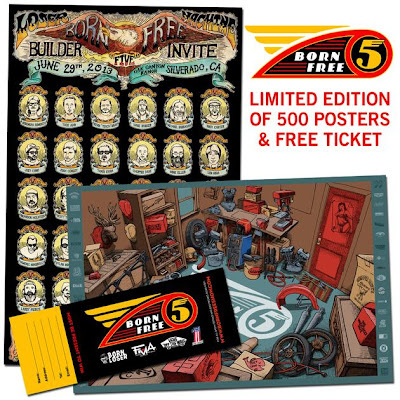 The first 500 people that buy online through Lowbrow Customs gets a limited edition screen printed poster of the 32 Invited builders with art by Gorgeous George! CLICK HERE to buy em now! Remember you must be present to win this year. The promo is open to everyone except the Born-Free founders and our families. 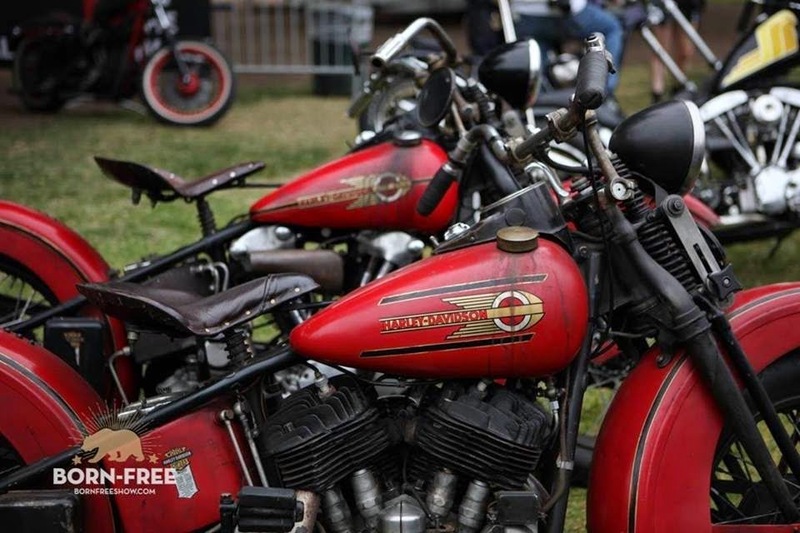 On June 29th 2013 someone will be able to pick their dream bike that was built by some of the best, most talented guys out there...Will it be you?